Arun Kumar Tamang (left) seated in the Motor Transport (MT) section office. 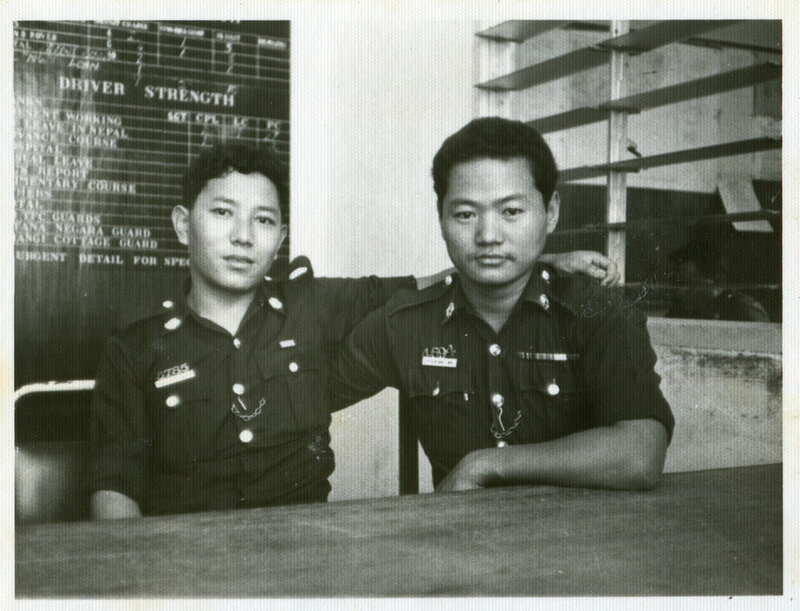 The Singapore Gurkha seated beside him is his senior. Date: Unknown. Photo Collection: Aswin Tamang / SGPM. 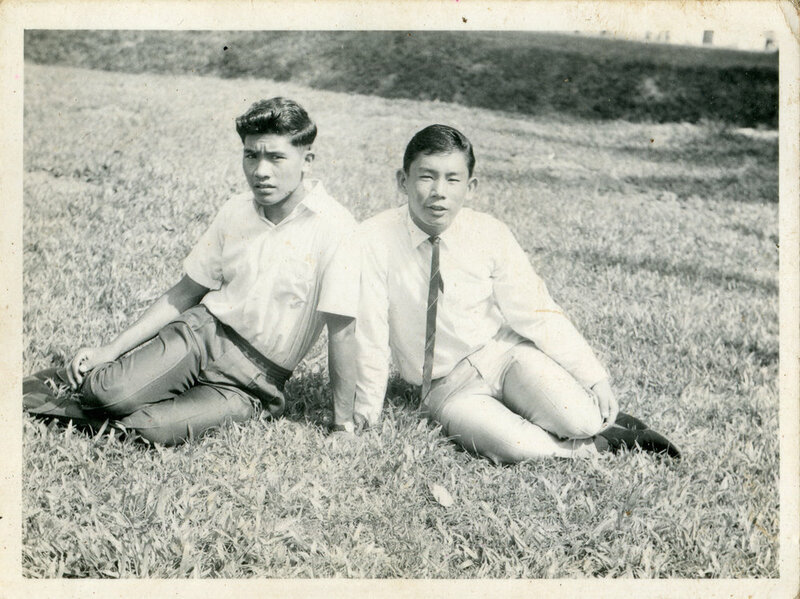 Shivraj Thapa (left) and Sahadeo Thapa sitting on the grass at Mount Vernon Camp, during the Dasain holidays. There was a Chinese man who visited the camp to take photographs of everyone. He returned to sell Shivraj a copy of this photograph. Date: 1970. Photo Collection: Shivraj Thapa / SGPM. Titled Singapore Gurkha Photography Museum, it is the first photographic archive of the Singapore Gurkha community displayed publicly online. 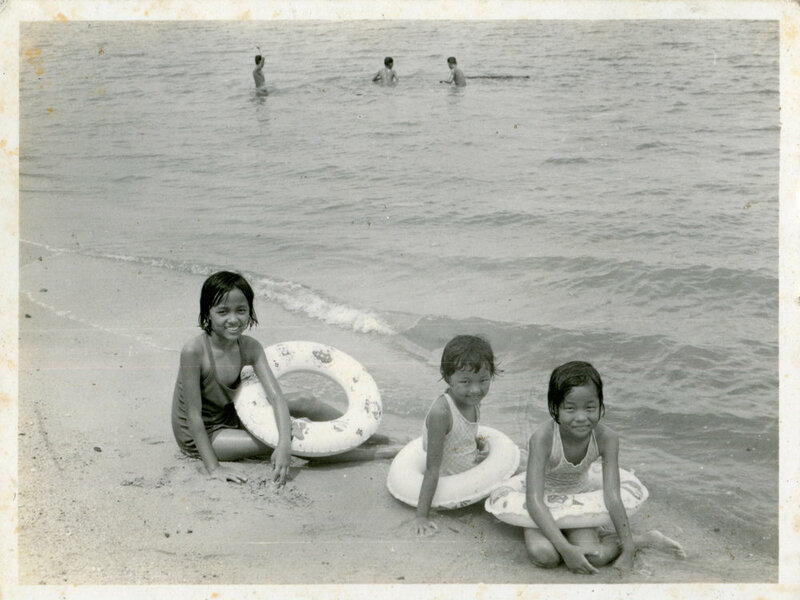 These old photographs span from the 1950s till today – with a focus on the 1950s, 60s and 70s. 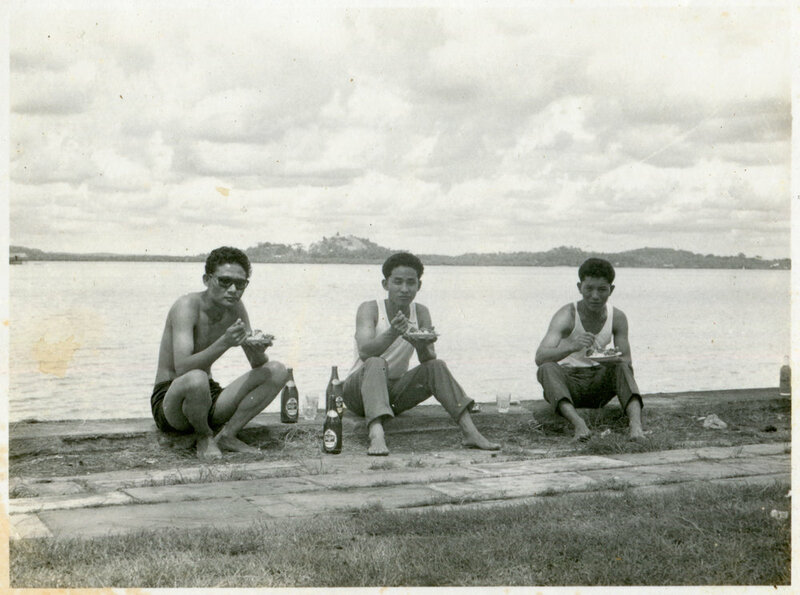 To provide a platform that facilitates conversation and understanding of a migrant community among Singaporeans or between them and the Singapore Gurkha community. *This first-phase of this project was supported by the National Heritage Board (NHB), Heritage Participation Grant.